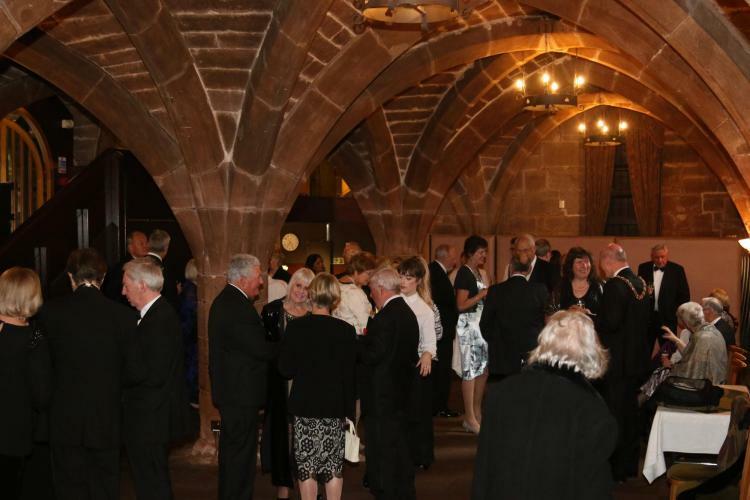 The Prime Warden held his social weekend for Liverymen and families in Coventry and the surrounding area over the weekend 3rd to 5th June 2016. Some 40 plus Liverymen and guests assembled in a hotel in Kenilworth where they enjoyed a relaxing meal on the Friday night. After a refreshing night's sleep and sumptuous breakfast, the party were ready to set forth into Coventry city centre. The city had much to offer in the shape of an excellent transport museum which drew heavily on Coventry's industrial heritage. In addition, the old and new cathedrals reminded everybody of the extent of the damage inflicted on the city during WWII. Fortuitously, the weekend coincided with Coventry hosting a Motofest event; a tremendous array of classic cars and motorcycles stirred everybody's sense of nostalgia. For culture vultures, the city's Herbert Museum had much to offer including a display of tapestries by Turner Prize winning artist Grayson Perry. 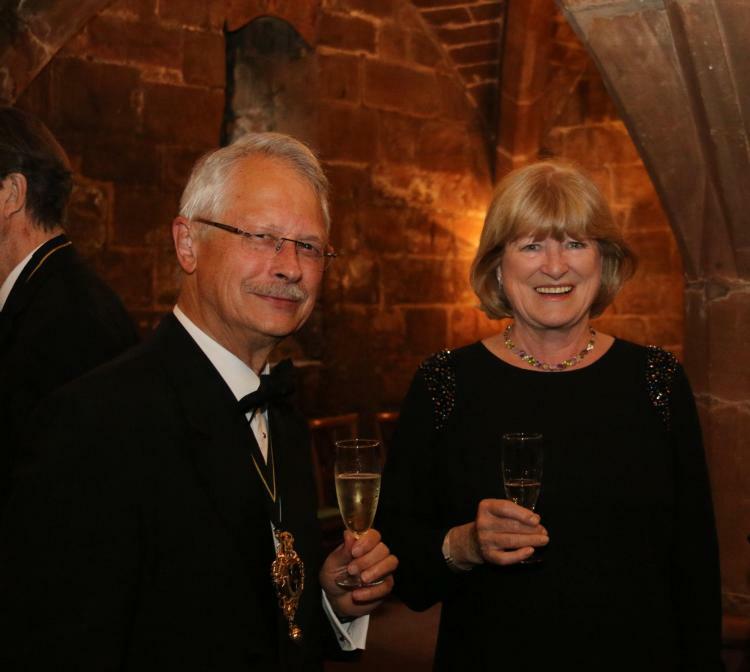 After a short pause at the hotel to don posh frocks and black tie, the party returned to the 13th Century St Mary's Guildhall where the Lord Mayor of Coventry, Councillor Lindsley Harvard, and Clerk to the Guild of Coventry Freemen, John Wilkinson, were entertained as guests at a Gala dinner. 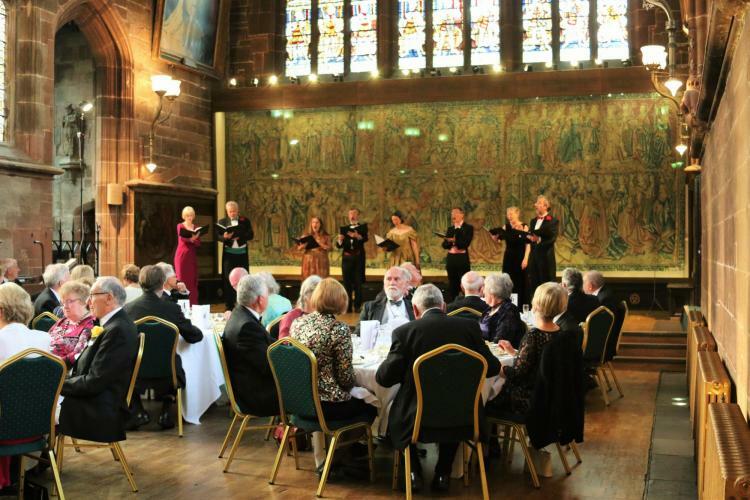 Dinner guests were entertained between courses by 8 members of the celebrated Cambridge Voices. Sunday morning saw an early departure from the hotel to visit the nearby Kenilworth castle. The group was treated to a guided tour of the Elizabethan garden created by Robert Dudley, Earl of Leicester in his thwarted attempt to marry Queen Elizabeth I. Lunch in a nearby restaurant concluded a very successful weekend where members of the Company were able to get to know each other better in more relaxed settings than many other Livery functions.